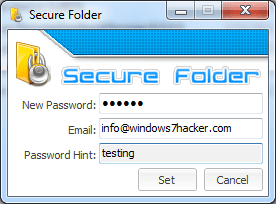 Here is a quick useful tip for those who often search for the same type of files in Windows File Explorer. It’s actually a feature that’s been around since Windows Vista, letting you save a specific file search for repeating use in the future. 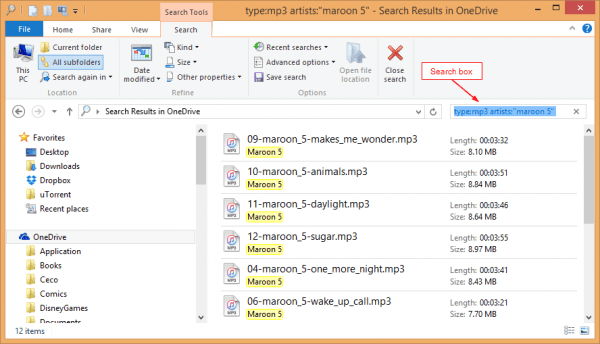 First of all, let’s define a specific search to find all Maroon 5 songs in my OneDrive folder. Not that I will often do the same search but just for an example that sounds more interesting. 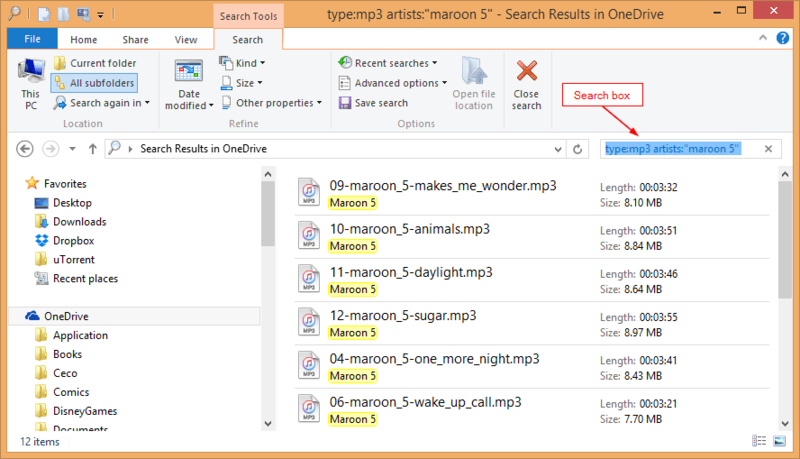 Open File Explorer, navigate to my OneDrive, and type “type:mp3 artists:’maroon 5′” in the search box. 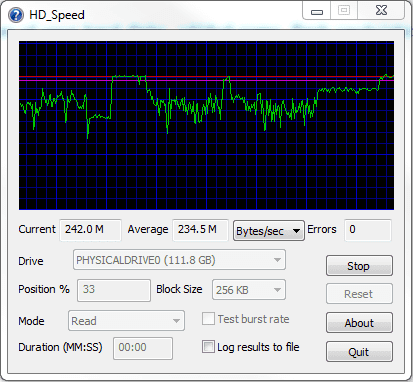 The result comes up almost in real time if your drive is indexed by Windows already. Since we are in search mode, the Ribbon tab is already switched to Search. 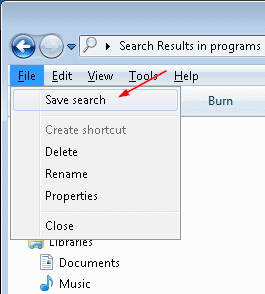 Click Save search button, specify a name for this particular search and click Save button. 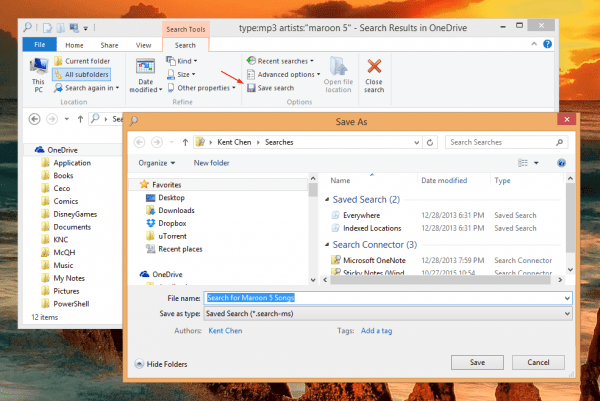 The search query will be saved Searches under user profile as a file with extension name as .search-ms and can be launched directly from there too. You can even pin the saved search to Start by right-clicking the saved search and selecting Pin to Start. It’s not much of a deal in Windows 8 but will be helpful in Windows 10. 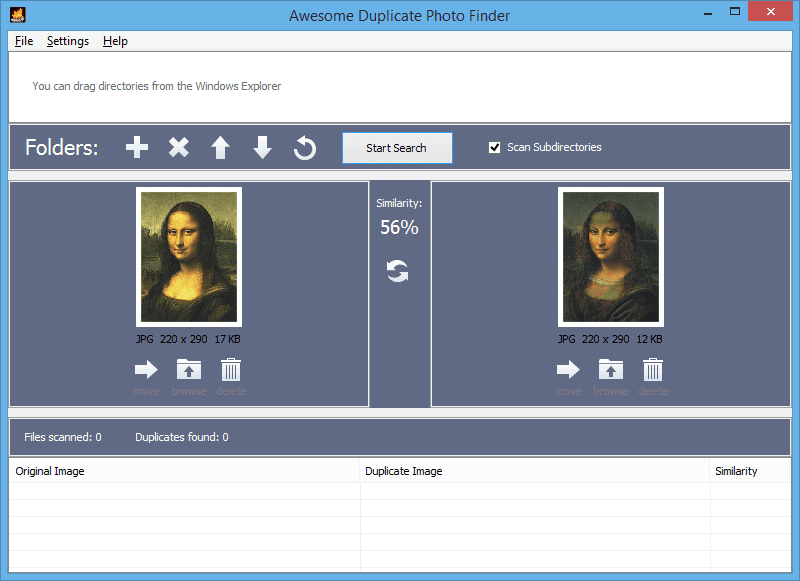 You can save searches on Windows 7 too. 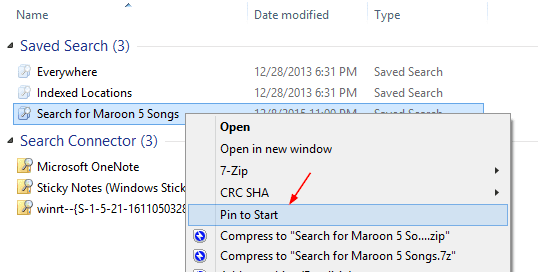 Since Windows Explorer on Windows 7 doesn’t have a Ribbon, the save search button is located in a different place. When you have the search results up, press Alt key to bring up the top file menu bar, click File and select Save search. If your search query involves dates such as Today, This Week, This Month, etc. the search result will remain relative to the current date. Using the same query to find all the files that have been modified This Week a year later will only find you the most recent ones, not the ones modified a year ago.